Fall is apple time - available in markets all year long they are never better than fresh off the tree. My family's favorite pie is apple - YUM! 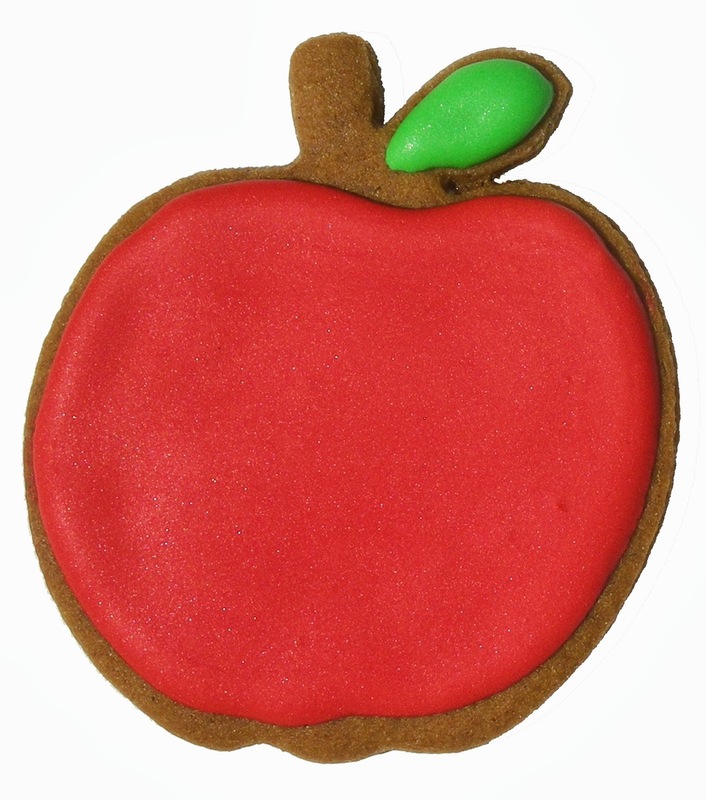 Apples come in all different colors and are a good shape for a cookie too! A shiny red apple is best of all! * You are the apple of my eye. * An apple for the teacher. * Don't upset the apple cart. * As American as apple pie. * An apple doesn't fall far from the tree. * How do you like them apples? * Rotten to the core. * Don't let one rotten apple spoil the whole barrel. * You're a good apple. * Apple pie, motherhood, and the American flag. Great apples, Momsu! I love your colors. Now I need to make my apple pie!